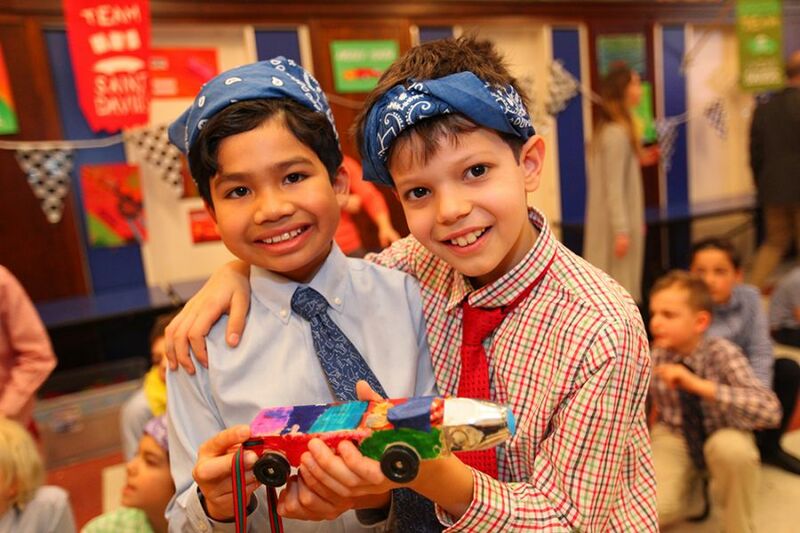 Third graders raced their mini cars in Friday's Nerdy Derby competition. The exciting event was the culmination of a STEAM unit in which the boys, working in small teams, examined friction, mass, and aerodynamics as they designed, built, tested and revised their cars. For more on the Nerdy Derby, see the Headmaster's Blog. Sixth graders kicked off their interdisciplinary study of the 20th century with an original play featuring music from the century's songbook. Eighth graders and their teachers are in Italy for a 10-day Italian Study Tour of Rome, Assisi, and Florence.